As a single mother, lets admit it, times get tough. You are fortunate enough to have your children that mean the world to you, but it doesn’t come cheap. Of course you’d do anything to keep them safe, even if that means struggling financially to support their well being. Debt can get out of hand fast and with only one income it’s hard to pay monthly rent, mortgages, utilities, and food expenses on top of credit card bills. This leads to unwanted stress but can be prevented if you get help. If your monthly debt payments, not including mortgage or rent, surpass 20% of your income, your debts are a serious problem and they need to be addressed as soon as possible. If you feel you have little debt but are starting to get concerned about being able to pay it off, consider setting up on a budget if you don’t have one already or reevaluate your current one. A budget is a way to view your personal cash flow, which is your money that comes in each month, and your money that goes out each month. You’ll need to keep track of all your spending for one month to establish an accurate budget. Keep a record of your monthly income and all your monthly bills and other receipts even if you are paying with cash. Once you see what you are spending, you should be able to cut back on certain items especially on impulse buys like candy bars or everyday items you don’t think add up to a lot but do in the long run, like morning coffee at your favorite coffee shop. Make goals for your self to set aside a certain amount of money each month to put into a savings account or to put towards paying off other debt. After you create a budget you can choose to eliminate your debt on your own by ripping up your credit cards, dealing with your creditors, and still making all your payments on time. However if you tend to be late on monthly payments it’s recommended that you consider the next option for debt relief. If your debt is severe it’s recommended that you get help and fast. This is where most people’s embarrassments sets in and are afraid to get help. 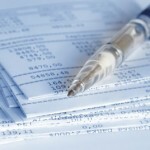 However credit counseling is a great option to help you eliminate your debt. You can find companies that do it for free, and all your information is kept confidential. A credit counselor will evaluate your current situation and then recommend the best solution for you. A credit counselor may suggest a debt management program in which the counselor would work directly with your creditors as well as provide you with additional education, guidance, and motivation to make sure you get through the plan and pay off your debt. This simply includes sending a single payment each month to the agency, which is then dispersed to the creditors that you owe money to. Another debt relief solution is debt consolidation, where existing debts and mortgage payment are compiled into one. You would take out a loan, often times using your home as collateral. Most mortgage-backed consolidations pay the creditor direct to ensure pay off. However if you fall behind you put losing your house at a serious risk. An absolute last resort and not recommended for everyone is filing for bankruptcy. With the new bankruptcy legislation you may want to review it’s recent changes and restrictions before considering declaring bankruptcy. Bankruptcy is a court action that can absolve part of an individual’s debt. However, it comes with a high price. Bankruptcy can destroy credit worthiness up to 10 years after the discharge rate and it can even restrict you from certain types of employment. Now that you know all about the options to help you get out of debt, you can choose the one that is right for you. For more information on credit and debt management check the Financial Advice, Budgeting Tips section which provides help for single mothers by posting articles and tips on financial help, dealing with credit and debt management issues, household budgeting, as well as providing information and links to grants and scholarships for single mother. This is a nice article,and supplied me with good financial tips.